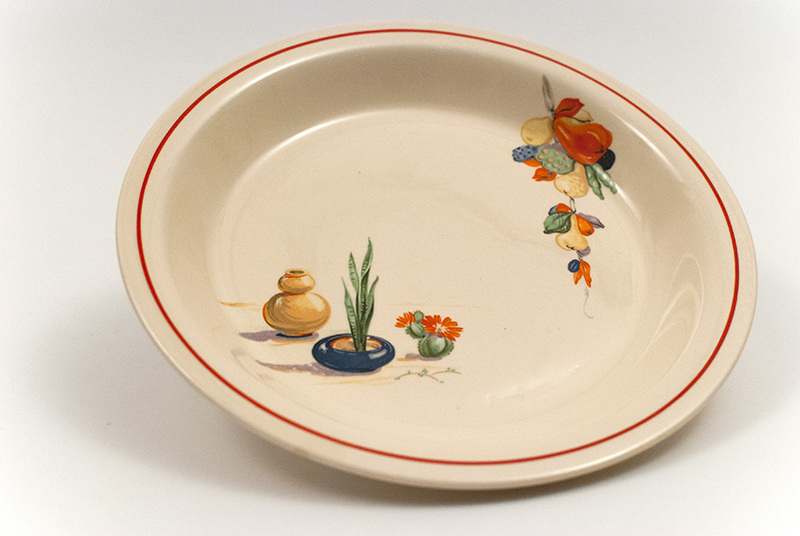 Circa 1936-1944: Homer Laughlin's Kitchen Kraft line was also used to sport the southwest themed decals - like Conchita, Hacienda, Mexicana, to name a few. 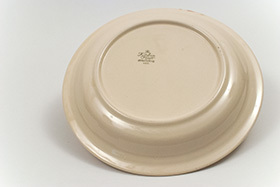 It's great to find the more obscure Conchita decal on the classic Kitchen Kraft shape. 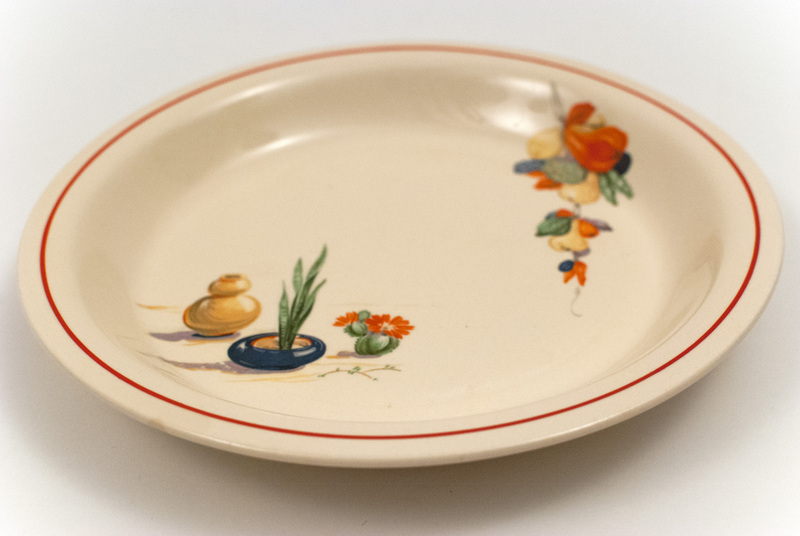 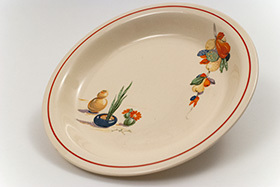 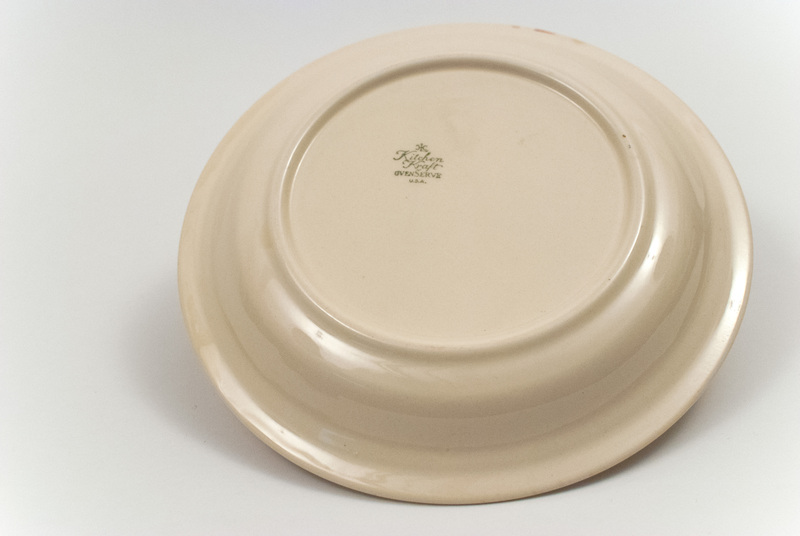 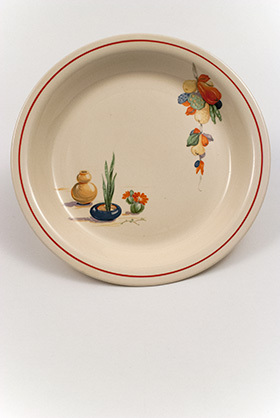 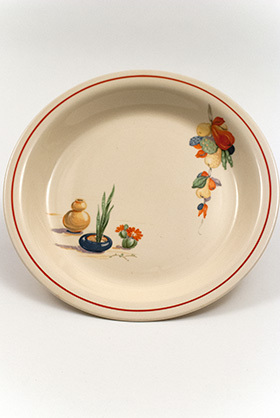 This example of the Conchita pie plate is in excellent condition (please note one small stain spot on the edge of the rim, otherwise super clean without use or damage) and is marked on the back with the glaze stamp "HLco Kitchen Kraft MADE IN U.S.A."